This company is a US based company own by Microsoft Co. (yap! same microsoft), Xbox dominated the console industry when Atari stopped production sometime in 1996 and as of 2006 the company sold out over 24 million units. In 2005 the company released its second console The Xbox 360 and was sole over 77 million units world wide sometime in April 2013 after with the production of Xbox One followed afterward; it was officially released in may 2013 in only 21 markets worldwide, the Chinese market was launch a year after (September 2014). This is a video game company which has their headquarters located in Kyoto, Nintendo is considered one of the world's largest video game company in terms of market capitalization and has one of the best selling video game franchises the most popular being such as Super Mario, Pokemon as well as The Legend of Zelda. the company was founded 1889 with the original purpose of producing Hanfuda playing cards, and also involved in toy production sometime in 1960s. Its first video game development in the 1970s after which transformed to be the third most valuable company in Japan with $85 billion of market value. This is another Japanese based company owned by Sony Interactive Ent. and has been existing since Dec 1994. PlaySation game console has exported over 10 million units in 9 years of its production and has been said to be the best selling home console when it reached 155 million units in Dec. 2012. the PlayStation 3 was released sometime in 2006 and was estimated to have sold over 80 million units world as of Nov. 2013. the company latest console was PlayStation 4 which broke the record by sell over a million units in 24 hrs world wide. Sony has diversifies its production from conventional console production to handheld game console and other form console with the launch of PSP in 2013, PlayStation Vita in 2011 and PlayStation TV. Sega Gemusu as it is officially called is another Japanese video game company based in Ota,Tokyo Japan, though founded by Americans originally as Sega Holdings and are into investment, their first attempt in console production actually started in 1982 with SC-3000, a computer version with inbuilt keyboards. In 1983 just before the video crash, the company launched their second product SG-1000 and coincidentally same day Nintendo launched the Family Comm. Atari is a french company that was founded in 1972, though has changed its name severally before arriving to "Atari Games" that was after the video game crash of 1983. Atari was popularly known for its Atari 2600 as well as its game computers. This is french based game publisher company with headquarter in Montreuil, it is known for some top selling franchise like Assassin's Creed, Far Cry, Prince of Persia which also comes in a mobile genre, Rayman, Raving Rabbids as well as Tom Clancy (which also has found its way to Xbox). The company is said to be the largest in America and Europe after Activision Blizzard,Take-Two Interactive and EA. 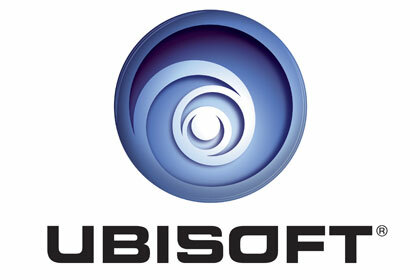 Ubisoft is said is estimated to have a revenue of 1,731 million pounds. It is an American video game publishing company based in New York and also one of the largest in the Europe. The company was founded in 1993 by three video game publishers Rockstar Games, 2K Games and Private Division. Some popular franchise from the company includes Grand Theft Auto, NBA 2K, BioShock and Civilization. This is another American company based in California founded in 1982, some of their most popular franchise include Army of Two series, Battlefield Series, Burnout series, Command and Conquer, Mass Effect series, NBA Live series and many, many more fascinating games. EA often develop games under labels e.g EA Sports, Madden NFL, NHLSSX and NBA Live. 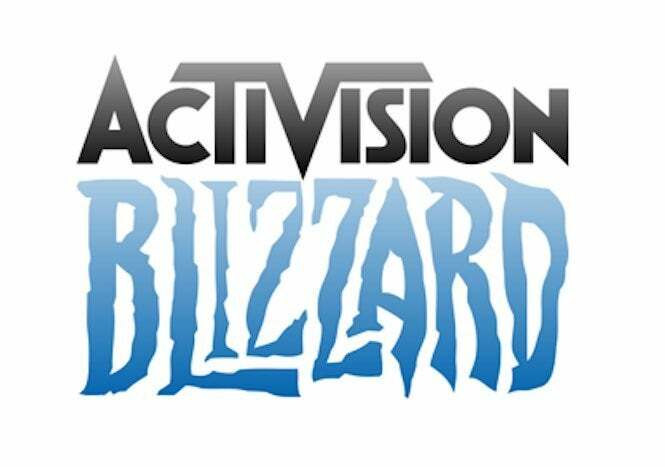 Based in Santa Monica California, this company was founded in 2008 through a merger of Activision and Vivendi's game operating. some of the popular franchise include Call of Duty series, Destiny, Skylanders, Spyro the Dragon, Tony Hawk's, Diablo series and many more. In one week of the introduction of Call of Duty in 2015 it generated $550 million world wide making it the biggest launch that year. This is more compatible electronic device which enables the player go mobile and video games characters are smaller. It is rather smaller than the home video game console and has smaller keypads, screen and usually united in one piece. There are no much company that has contributed in the production of handheld video game consoles than Nintendo which can boost of the all popular Nintendo Gameboy, Wii U Game, NintendoSwitch and Nintendo DS. Over the years the handheld console made wave in the gaming industry but time has seem not to be favoring this once “cool jerker”. Really the popularity of handheld consoles is drastically declining, with the introduction of smart phones which has virtually taken over responsibility of any handheld console , the sales has been rather no encouraging any more. According to Scott Stein “mobile phones has taken over very thing, as they come, they come smarter and with more and more convincing content”. In time past Nintendo and Sony came out with some really great ideas, maybe even unappreciated ones, when it comes to glass-free 3D, a lot of clever which has local network social gaming. The Playstatioan Vita pproaches to streaming games to a second screen anticipated the multi-service that is currently present. Sony has also done pretty nice job by offering games that cross-play between game consoles and the smaller vita; in other words, one can price for a game and get it on Vita. This is a handheld console game manufactured by Nintendo and was launched on the eve of 100th anniversary of Nintendo in Japan in 1989 and arrived North America same year, it made its way to Europe one year after (1990), released in Russia in 1995, Britain in 1994, and Netherlands in 1989. It is said to be the first handheld console ever manufactured by Nintendo, the reversed versions of the gameboy was produced in 1996 and 1998 and came in form of Game Boy Light (which was limited in for use in Japan). 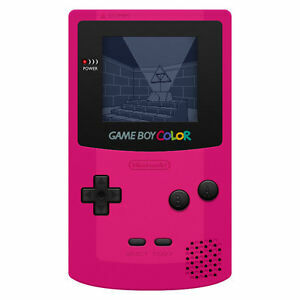 Though there as been rumors that the company had wanted to create a game competition for the gameboy console, but none has officially recorded. This is the second and most popular handheld console produced by Atari though it has been first developed by Epyx and called Handy Game in 1986. But to differentiate the Handy Game from Lynx teh company had to remove and change the internal speaker and the thumb stick on the control pad before finally launching it into the American market for $179.95 in 1989. From 1989 to 1995 it has been said that the company has sold not less than 7 million units as against the gameboy that sold 16 million units as the estimated period probably due to the low cost and longer battery life. This is produced by Sega and was released in 1990 in Japan same year, in 1991 it was launched in North America and in Europe, in 1992 it arrived Australia but then faced a strong competition between Atari's Lynx, NEC's TuborExpress and Nintendo's Gameboy. With a price of $149.99 the console sold out over 40,000 in the first two days and 900,000 in a month. to actually measure up to their late start the company added some interesting features like a 3.2 square screen size that it capable of displaying 32 different colors, a display resolution of 160 x 144 pixels, and a battery life that can last up to 3-5 hours. This hand held console is made by NEC Home Electronics which has which launched in Japan and the United State some time in 1990 at much expensive as Nintendo and Lynx , the game was sold for $249.99 at launch. Reason was that it was very much advanced than it counterparts made by Atari, Nintendo and Sega respectively. It came with some unique feature with that made it stand out, featire like TV tuner active-matrix color LCD screen of 66mm in size and a backlit. 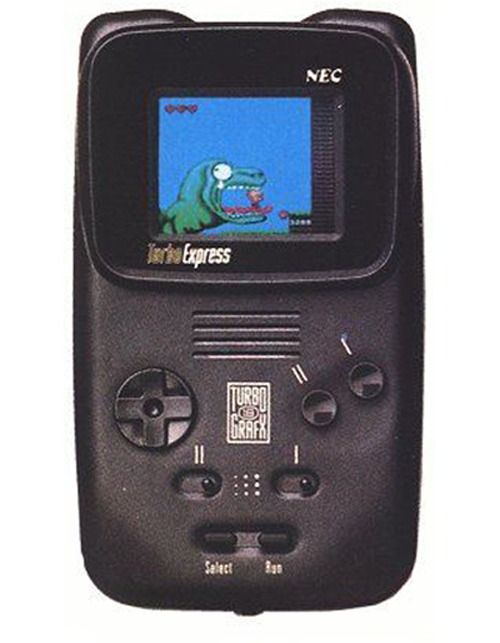 The TuborExpress cannot be said to have succeeded in the handheld console market, 'cos at the end it was sold 1.5 million in whole. Officially known as Watara Supervision was joined the console market competition in 1992 with a game called Cryball with has the same similarity with Breakout . Just like he most of them, it has a unique feature of the that links up to a television via a linked cable. The production of Supervision handheld console was later cancelled due to it bad performance in the market. It was released in 1992 with much cheaper price of $49.95 and $87.11 in 2017. The discontinuation of this console is largely connected to the tight competitions by the bigger companies. 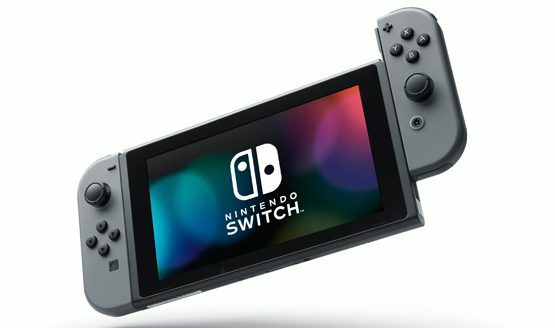 Not forgetting Nintendo Switch which is the latest on the list, it is produced by Nintendo and was launched world wide march 3 ,2017 and cost $299.99 ($300). This is the most advanced handheld console in the world today and has sold over 19 million units since its release. Its design supports online gaming through standard internet connection and the software are much more available in both physical and digital distribution formats via Nintendo eShop. It would have been the most successful handheld console today but the emergence of mobile gaming has actually posed a threat. This is a type of video game console that are meant to connect to televisions as well downloaded from app stores, not a video game store as in your conventional as you know it. A clear example of this is your mobile phone games, Nexus player, GameStick and the all famous Ouya. Although some countries of the world like in western Africa, micro consoles out shines the home video consoles clearly due to the expensive nature of home game consoles. The idea that consoles might upgrade on annual basis is one that has been long expected. With the way Android has taken over the smart phone world in the past 6years, and some of the games consoles that follow suit, including the inclusion of play station in the manufacturing of the micro console it will be assumed that in time to come micro consoles will be measuring up with the it counterparts in the industry. The origin of micro consoles cannot be fully ascertained, but can be traced back to 2010 cloud gaming startup and wireless controller that connects the computer game service to televisions. Dean Takahashi the founder of VentureBeats described it to be an attempt to turn the video game industry upside down and turning out to be an inexpensive console providing high-end games on low end hardware that could eliminate the cycle of regular consumer hardware upgrades. This is kind of "ancient" but can still be seen around a video game store. Dedicated console is devoted in to particular kind of game or games, and it’s not equipped for additional games, in form of cartridges, discs or other console media software. This is the earliest home video game system, the history of dedicated consoles can be traced back to early 1970s where all game consoles were mostly cartridge-based systems, the most popular being Pong and many others that looks similar. These systems are typically not p c video games, looked more much bigger and arcade. During the second generation of consoles due to the success of the Atari 2600, though single systems like Coleco’s mini arcade series continued to have a smaller presence in the home market until the video game crash of Northern America in 1983.since the existence of Nintendo entertainment system, cartridge based consoles have dominated the homes until the invention of CD-based consoles such as the PlayStation gained prominence in the mid-1990. 1. Arcade games: this was developed from earlier non-video electronic game cabinets such as pinball machines, arcade-style video games are usually dedicated to a single game and do not allow do external output in the form of ROM cartridges. 2. Game watches: This is an electronic wristwatch that allows the wearer to access and include video games that uses the display in the watch’s face on its screen. Game watch buttons which originally may have been used for setting hour and minute gain secondary functions. Examples of this are: Flagman, vermin, fire, helmet, parachute, octopus, chef, Turtle Bridge, fire attack, snoopy tennis, oil panic e.t.c. 3. Joypad games: This type of consoled have appeared for mostly fishing game, where the unit’s body itself becomes a specialized controller in the form of a rod and reel. Other dedicated; consoles have been released for hunting, archery and even shooting games. 4. Handheld TV games: this console integrates the video game console with the video game console. In modern times this dedicated home game systems are popularly referred to as “plug and play” because they are based on modern technology which enables the hardware and software of the entire game to be within a single controller, with no separate console at all. Some of these are clones of old games, and are produced in china while others contain licensed games and are distributed in mainstream store in the west. 5. Handheld game: This is devoted to one game or a collection or built in-games, dedicated handhelds tend to employ simple LCD screens although older models often utilize more primitive arrays of small light bulbs or LED light to produce calculator – like alphabetical screens. This dedicated handheld console systems typically comprise a screen, a number of control buttons, and a compact body that houses the game engine. Video game consoles have come a long way, since the simple Arcade titles of the 1970s there has not been a proven video games effects on players rather it has proven to cause more harm than good one of which is helping improve strong eye coordination. It has really contributed in the improvement of our mental health, social and cultural awareness, judging from the rise of multiplayer experiences online has given way to a new form of socializing in which players work together to solve problems. But studies have shown games can also be the catalyst for friends to gather in person was as 70-80 % of all players play with friends at least most of the time.